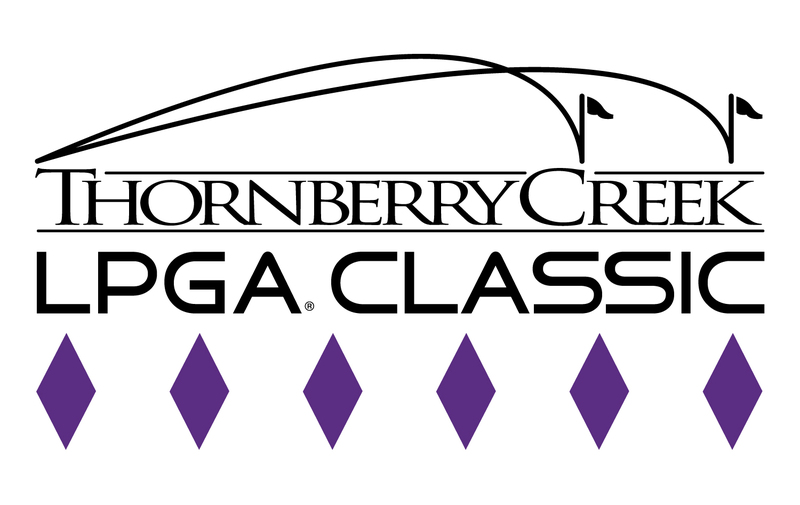 The purpose of the AJRCCC Board is to serve in an advisory capacity for Anna John Resident Centered Care Community ensuring the operations are within the guidelines and policies of the Oneida Nation and within all regulations, rules, and policies governing the operation of the AJRCCC. The Board also ensures the AJRCCC maintains a safe and sanitary environment while providing quality care and services to residents of the facility and as ordered by each resident’s attending physician. Enhancing service between the residents, families, and the AJRCCC Administration. Being involved, visiting and participating in activities with the residents. Ensuring the AJRCCC is equipped and staffed in a manner to provide the best services for residents. Bringing the Board’s concern and/or complaints to the AJRCCC Administration. Be an enrolled member of the Oneida Nation. Reside in Brown or Outagamie County. The Board meets every second Wednesday of the month at 5:00pm. Meetings are held in the conference room at the AJRCCC located at 2901 S. Overland Road Oneida WI 54155. For any requests related to the AJRCCC please contact [email protected]. It is the purpose of the Oneida Community Library Board to monitor and advise programs and service and acquisitions of print and non-print materials provided to library clientele. It is the policy of the Board to be self-supervised according to these bylaws. The Oneida Nation shall remove itself from the activities of the Board. To provide quality library and information services to the people of the Oneida community as well as Brown and Outagamie county residents through the continuation of existing tribal, county and interlibrary system agreements. To Encourage and promote the development of library services to meet the informational, educational, cultural and recreational needs of the Oneida Community Library clients. 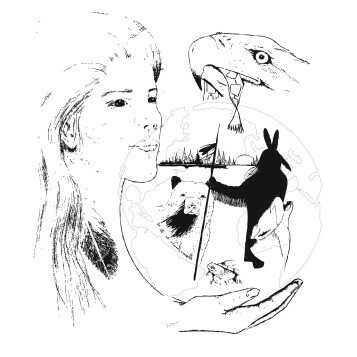 To develop policies which will protect the unique resources held by the Oneida Community Library, specifically those pertaining to the Oneida/Haudenosaunee and other Native American Nations. To promote the use of meeting areas within the Oneida Community Library for socially useful and cultural activities. Any Oneida Citizen who appears on the official roll of the Oneida Nation in Wisconsin and is eligible to vote can serve on this body. Any patron of the Oneida Community Library who is on the official patron list of the Oneida Community Library. The Board meets at 4:30 pm every second Wednesday of every month. Meetings are held at the Oneida Community Library, 201 Elm Street, Oneida, WI 54155. Please contact Dylan Benton, Chair, at 920-492-0913 or [email protected] for requests relating to the Board. The purpose of the Environmental Resource Board is the oversight and development of conservation and environmental law and policy for the Oneida Nation. ERB serves as the original hearing body in matters concerning conservation and environmental laws and ordinances promulgated by the Oneida Nation, and monitors environmental problems on the Oneida Reservation. The ERB shall monitor environmental problems on the Oneida Reservation. The ERB shall assist in the budgeting process, which shall include, but not be limited to, ERB training and other normal operating expenses of the ERB. The ERB shall consist of nine (9) enrolled members of the Oneida Nation who are not employed within the Environmental, Health, and Safety Division, or other areas of the Oneida Nation over which the ERB has direct oversight responsibility and authority. The ERB may, at its discretion, extend the time allowed for completion of any and all required training of a member for good cause shown. The Board meets at 6:00 p.m. the first Thursday of every month. Meetings are held at the Ridgeview Plaza, Suite 4, located at 2759 W. Mason Street Oneida WI 54115. Please contact Laura Manthe, Director (920) 496-5360 or [email protected] for requests relating to the Environmental Resource Board. Please click here to be brought to the Oneida Nation’s Code of Laws page where you can view each law and any related rules..
Approve policies and programs for the overall coordination and administration of the ONAP. A majority of the members shall be enrolled members of the Oneida Nation. Any vacancies which cause non-Tribal members to make up the majority of the Board shall be filled within three (3) months. If such vacancies are not filled within three (3) months, a sufficient number of non-Tribal board members shall be re-designated as alternates until Tribal members again make up a majority of the Board. When non-Tribal board members are to be re-designated as alternates, all such non-Tribal members shall first be invited to volunteer to serve as an alternate. If there are not sufficient volunteers, then the members that have served the shortest time on the Board shall be selected first. The Board meets at 5:30 p.m. the second Tuesday of the month. Meetings are held at the Community Education Center (CEC) located at 2632 S. Packerland Drive Green Bay WI 54313. The Board will not meet in June, July and December as their focus will be on volunteer work during these months. The meeting on Tuesday, 9/11/2018 has been rescheduled for Tuesday, 9/18/2018. 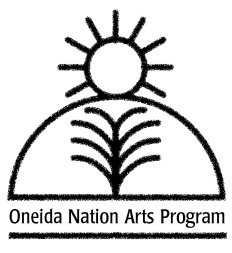 Please contact Beth Bashara, Director of Arts Program (920) 490-3830 or by e-mail at [email protected] for requests relating to the Oneida Nation Arts Board. 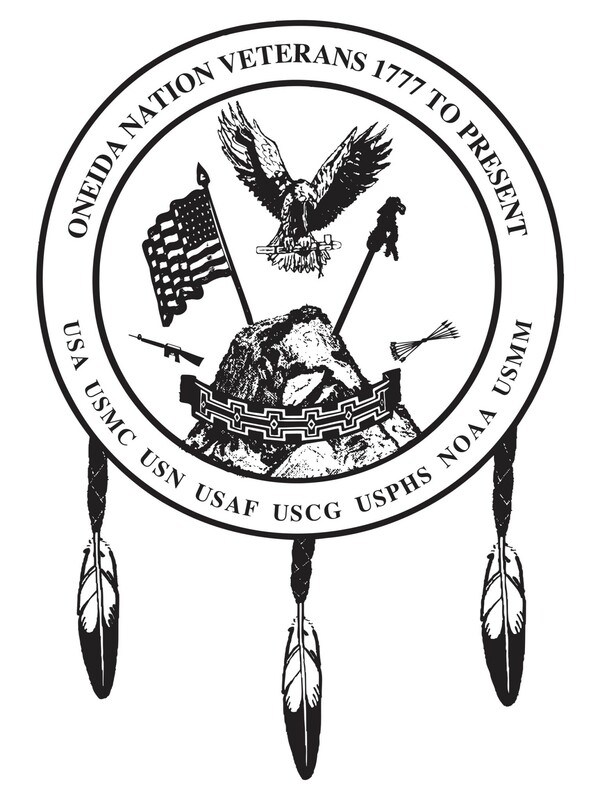 The purpose of the Oneida Nation Veterans Affairs Committee (ONVAC) is to serve as an advisory body to the Oneida Veterans Service Office in all matters related to Oneida Nation veteran’s rights and benefits and veterans affairs issues, and to protect the honor and integrity of the Oneida Nation and all veterans who served honorably in the United States Armed Forces. It shall be the purpose of the Veterans Affairs Committee to provide advice and constructive input to the Veterans Services Office Director on all Veterans affairs issues in order that the office can formulate veteran services and programs for the Oneida Veterans. ONVAC coordinates veteran events with the assistance of the Veterans Services Office and other organized groups that are representatives of Oneida Veterans and the Oneida Nation. The Veterans Affairs Committee will be made up of members of the Oneida Nation who have served honorably on active duty in the United States Armed Forces. Must be a person, who served on active duty in one of the military branches of the United States Armed Forces and received honorable discharge from active duty service. Must have been on active duty by serving one hundred eighty-one (181) days or more of continuous active duty unless discharged early, with less than one hundred eighty-one (181) days active duty, for a service connected disability. Served as a member of the Selected Reserve and who has completed at least six (6) years in the Reserves or National Guard, or who was discharged early because of a service connected disability. Shall be a citizen in good standing in the Oneida Community. ONVAC meets at 5:00 p.m. every second Tuesday of every month. Meetings are held at the (Veterans Department) located at 134 Riverdale Drive Oneida WI 54155. Please contact Carol Silva (920) 490-3930 or [email protected] for questions to ONVAC. The OPC was created by the General Tribal Council to represent the Oneida community-at-large in the selection of the Nation’s employees and to shield those employees from inconsistent and unfair treatment. Regular meetings shall occur on a monthly-basis. The regular meeting time, place and agenda shall be determined by the OPC at a regular meeting. If no alternative designation is made by the OPC, the regular meeting shall be the last Tuesday of every month. Notice of meeting location, agenda and materials shall be forwarded by the Chairperson with the assistance of the Secretary. Meetings shall run in accordance with Robert’s Rules of Order or another method approved by the Oneida Business Committee. Meetings shall comply with the Nation’s Open Records and Open Meetings law. Click here to apply for a vacancy. Have a minimum of two (2) years supervisory experience along with hiring experience, an Associate Degree, or equivalent experience or education. If a conflict exists between the Oneida Personnel Policies and Procedures and the Oneida Judiciary Rules of Civil Procedure, the Oneida Personnel Policies and Procedures shall govern. Appeals from OPC decisions to the Judiciary shall be governed by the Oneida Code of Laws, Title 8. Judicial System. Dress Code. OPC members are expected to be clean, well-groomed and dressed in business casual attire when conducting activities on behalf of the OPC, including but not limited to, employee interviews and grievance hearings. Clothing that is ripped or stained. Please contact the Boards, Committees and Commissions staff at (920) 869-4364 or [email protected] for requests relating to the Oneida Personnel Commission. Appoint, suspend, or remove the Police Chief of the Oneida Police Department. Approve all law enforcement officer appointments made by the Police Chief including the promotion of subordinates. Adopt, modify and repeal rules governing how lists of individuals, conclude to be eligible for appointment to law enforcement officer and promotion, are established. Approve competitive examinations used to judge suitability for appointment or promotion of law enforcement officers. Approve eligibility list of individuals determined to be eligible for appointment as a law enforcement officer or promotion. Suspend law enforcement officers or other appointed personnel of the Police Department pending filing and hearing of charges against them, subject to provisions of Article X.
Initiate charges against law enforcement officers or other appointed personnel of the Police Department. Hear charges filed against law enforcement officers or other appointed personnel of the Police Department, whether file by the Commission or the Police Chief, make findings and determinations, and impose penalties, up ad including termination. Hear appeals of disciplinary actions against any law enforcement personnel or non-sworn personnel. Adopt rules governing the Oneida Police Commission’s management of its own activities. Review contracts, and forward to the Oneida Business Committee for approval, concerning cross-deputization, dispatch function and mutual aid pacts which are made between the Oneida Police Department and a non-tribal agency. Approve Standard Operating Procedures of the Oneida Police Department. Must be twenty-five (25) years of age or older. A felony conviction in the state of Wisconsin or any conviction of a crime in another state that would be considered a felony conviction if the offense and adjudication occurred in the state of Wisconsin. A felony arrest which results in a misdemeanor conviction due to a plea agreement. A conviction of any ordinance violation that could bring discredit to the Commission. Any Pardon issued by the Oneida Nation or the governor of any State, for an offense specified in section 1-4 (c) (3) (A)-(C) shall not deem a person as “exonerated” for the purpose of membership on the Oneida Police Commission. Must submit to drug testing prior to appointment and on an annual basis. Must not be an employee of the Oneida Police Department. Must be a person of known good standing in the community. The Commission meets at 5:00 pm every second Wednesday of every month. If the first meeting falls on a holiday, then an alternative date may be selected by the commission. Meetings are held at the Ridgeview Plaza in Suite 4, located at 2759 W. Mason Street Oneida WI 54115. Please contact Carol Silva (920) 496-5319 or [email protected] for requests relating to the Commission. The Pow-Wow Committee shall, at a duly called meeting by notion and recorded within the minutes, identify each member, the services he or she shall provide during each Pow-Wow, and the specific dates and times during which the member shall perform such services. Committee shall be made up of nine members with voting powers. Be a member of a federally recognized Indian Tribe. Must have Pow-Wow knowledge, as demonstrated through experience coordinating a Pow-Wow or participating in a Pow-Wow; or have experience coordinating a community event. The Committee meets at 4:45 pm every second Tuesday of every month. Meetings are held at the Skenandoah Complex-Conference Room C.
Please contact Tonya Webster, Chair, at (920) 496-5311 or [email protected] for requests relating to the Committee. The purpose and mission of the Pardon and Forgiveness Screening Committee (PFSC) is to provide a fair, efficient and formal process for considering pardons and forgiveness. taking other actions reasonably related to the purpose of the Committee. Preference for community-at-large representatives shall be given to Tribal members with a background in social services, probation/parole, law enforcement, legal services, public policy and similar fields. Meetings/Hearings are held quarterly at the Norbert Hill Center, located at N7210 Seminary Road Oneida WI 54155 in the Business Committee Conference Room. Please contact Brooke Doxtator, Board, Committee and Commissions Supervisor at (920) 869-4452 or [email protected] for requests relating to the Committee. It shall be the purpose of the Southeastern Oneida Tribal Services Advisory Board (SEOTS) to provide advice and constructive input to the Southeastern Wisconsin Oneida Tribal Services (SEOTS) Director in order that the SEOTS office can formulate social services programs for the Oneida people residing in Southeastern Wisconsin. Each member of the Board shall act as an ambassador for the SEOTS program by promoting its mission whenever possible; shall review the program’s budget; shall guide and advise SEOTS administration and shall adhere to the appropriate chain of command in any and all relative communications with the Oneida Business Committee. Applicants who wish to be considered for membership shall be enrolled Oneida Nation members who are eighteen (18) years of age or over. Board members shall reside within one of the six (6) Southeastern Wisconsin counties of Milwaukee, Racine, Kenosha, Waukesha, Ozaukee and Washington. The SEOTS Advisory Board meets at 6:00 p.m. the 2nd and 4th Tuesday of every month. Meetings are held at the SEOTS building, located at 5233 Morgan Ave. Milwaukee, WI 53220. Please contact Mark Powless, SEOTS Director, at (414) 329-4104 for requests relating to the Board.